BNSF Railway’s new international intermodal service delivers MORE capacity, and faster, MORE reliable service between Seattle/Tacoma and Portland than any other rail freight provider. 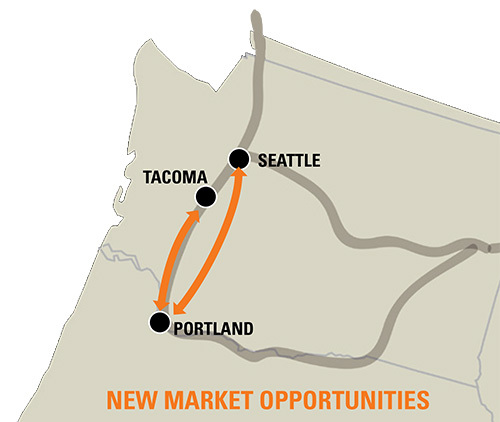 As the intermodal industry leader, BNSF Railway is expanding its international intermodal service offerings by introducing this new service lane between Seattle/Tacoma and Portland. View the Seattle/Tacoma and Portland Flyer.